When this creator isn’t nerding out on his computer, he has a serious knack for adventure and adrenaline. He’s know as one to jump off waterfalls, pull into heavy waves, and for an impressive breath hold while diving in the open ocean. He thrives through chaos and doesn’t shy away from a challenge. His closest friends would tell you stories about his passion for people and making a difference. Phil naturally radiates positivity, looks to see the good in humanity, and regularly challenges himself to be an agent of change. He was able to lead and manage multiple house building projects throughout different villages in a short span of time. While on Oahu, he took online courses in website development, UX design, and Adobe Photoshop + Illustrator. He consulted digital business strategies for several non-profits, a cross-fit gym, and a tattoo parlor. Phil had 3 things on his mind while working remote: building up his digital skill-set and portfolio, instigating social change through service work, and exploration of the Hawaiian islands. He found himself moving to the Big island, crafting adventures and new experiences daily. He worked as a volcano tour guide, leading tourists on an unforgettable island experience; coffee farms, beaches, volcanos, waterfalls, botanical gardens, you name it, he’s been there and could take you there. Through the Coconut-wire, he met two ambitious sisters. They just made a big investment in a commercial real-estate property and were busy converting it into a Hostel. Phil suggested they let him take over their digital operation since they lacked a digital market strategy… and a website. A few months later, the bunkbeds were built and toilets installed. Just as the construction of the hostel was wrapping up, this digital nomad developed the branding, formulated a business plan and equipped investors with streams of data that would follow his strategic marketing efforts. He would consider himself a business multi-tool with a highly diversified set of experience in marketing, business development, and digital strategy. He thrives given opportunities to connect the dots, win people over, and enjoys the challenge of overcoming business challenges through strategic thinking. He aspires to contribute to the betterment of humanity, grow as a social leader, and be mentored along the way. His passion for people, adventure, and business are woven together seamlessly. For Phil, inspiration comes from taking advantage of opportune moments. During his junior year at Biola University, he raised some $20,000 and led a house-building project for widowed mothers deep in the bush of Kenya’s Western providence. After graduating University he moved to Hawaii to spend some time volunteering with the Hawaiian mission, a local church that is active in leading social services for Hawaii’s local homeless population. He developed and built a website for the organization, managed several service programs, as well as led a medical service outreach for 2 large communities of displaced people living on the streets of Kaka’ako and Waiʻanae. 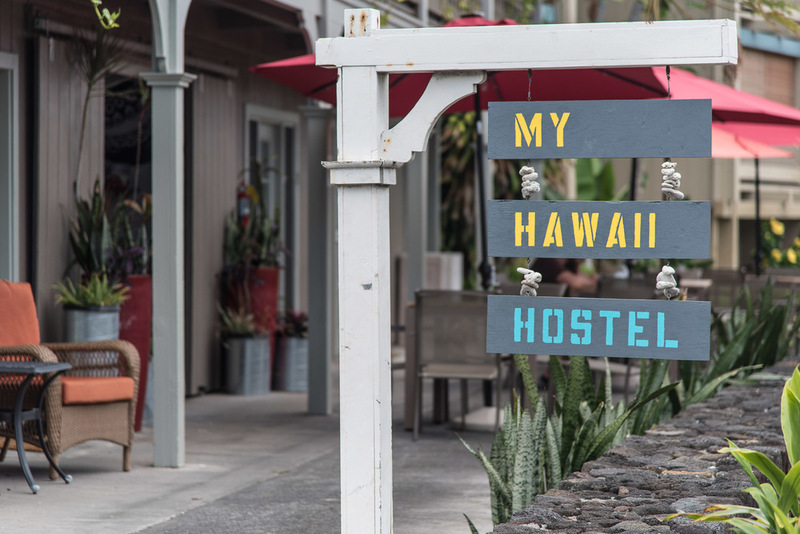 Developing the hostels digital architecture and market strategy was a challenge that brought Phil great satisfaction and grew his confidence as a marketer. While the sisters were hammering away transforming this old real-estate office, he built up a digital presence that would exponentially lure travelers from all over the globe. Within the first week of the hostel officially opening, nearly every bed was booked through the holidays. Intrigued with the opportunity to grow his storytelling abilities, Phil embarked on the adventure of a lifetime. He was tasked with a big fundraising goal, driving a 40ft RV across America, and solo-documenting the run of Dr. Levi Rizk, a family physician who packed his family into the RV and ran across America in 91 days.